NFL placekickers have a way of staying anonymous… that is until they make a big kick, or worse, when they miss a big kick. New Orleans Saints kicker Shayne Graham quietly made a pair of second quarter field goals in his team’s 17-13 loss to the Carolina Panthers in Week #16. In the process, he became the first placekicker in NFL history to make field goals for eight different NFL teams. 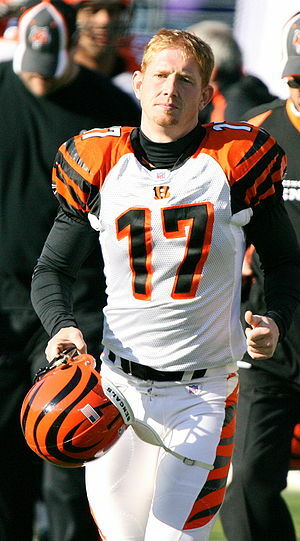 Graham, who is best known for a seven-year career as kicker for the Cincinnati Bengals from 2003-09 where he made 177 field goals, signed with the Saints on December 17, replacing Garrett Hartley (ironically, Graham signed his first professional contract with the Saints back in 2000 after being undrafted). Through games of December 23, 2013, Graham has made 247 field goals. In addition to the two he made last week with New Orleans, Graham has now made field goals with Baltimore, Buffalo, Carolina, Cincinnati, Houston, Miami and New England. * To qualify for the above list, player must have had a minimum of 50 made field goals and played a majority of his career in the Super Bowl era.